What has the gringa shared so far about what she knows regarding dark matter? Until now. Kinda sort of. Scientists estimate that about 25% of our universe consists of dark matter. That’s quite a bit of stuff out there that we have no idea, really, where it is, what it’s purpose is, what it’s doing, or what it looks like. Some scientists believe that there are dark matter superstructures that act as connective tissue between galaxies. The gringa wonders if that means that the universe can get arthritis? But I digress. Back to the real stuff. Does this composite image prove the connective tissue theory to be true? Do we now know where dark matter exists and what its purpose is? Since dark matter is kind of like a space ghost, neither reflecting or absorbing light, it’s impossible to see it. Maybe. Scientists may have devised a means to create an image using the same technology for detecting it: gravitational lensing. This new discovery may be dark matter’s incognito existence Waterloo, literally. You see, it’s a former grad student from Canada’s University of Waterloo who has developed the technique to create an image of dark matter. As gravitational lensing displays the warping effect of dark matter on distant galaxies, images from the Canada-France-Hawaii Telescope captures images while it surveys the skies. From these images 23,000 pairs of galaxies were selected to create a composite image of dark matter. In the feature image you see the white circles that represent two galaxies. You see all that red stuff surrounding them? Yep. That’s the connective tissue of dark matter. So, basically the Milky Way is like an egg yolk with a partner galaxy connected to it by dark matter. Next time you order a breakfast of 2 eggs sunny side up, just think of the great cosmic breakfast entrée where you live. We may be smart by human standards but not so much according to advanced space alien standards. Their opinion of us was so low they determined we weren’t worth the trouble to contact. In addition to our ignorance is our arrogance that convinces us that we are quite intelligent so space aliens should just be dying to be our friends. The reality is that we are youngsters in the Universe and have probably already received messages from older and wiser aliens that we were too stupid to understand. We have also been irresponsible with our intelligence and technology, accidentally sending out signals that painted us as imbeciles with early television broadcasts like Howdy-Doody and I Love Lucy. Yep, what a great first impression that must have made! Now, the gringa doesn’t argue with the fact that alien civilizations are probably much older and wiser than us. If they are able to perform a fly-by of Earth, they are also much more advanced. The gringa also does not doubt that we have probably been a terrible disappointment what with our wars, destruction of the environment and little regard to less powerful global co-inhabitants whether they be human or animal. The gringa also shamefacedly admits that humans are incredibly arrogant and often believe that they are the end-all of sophistication and technological advances despite the fact that we must surely be minimally advanced compared to our Universe counterparts. However, the gringa had hoped that our arrogance would not have been matched by the arrogance of an alien species who would have believed our worth was only in our intelligence. What about our potential? Surely the discovery of any living, breathing, sentient, intelligent species is worth more than a casual observance as you fly-by. The gringa is reminded of the family vacation from hell when my father was intent on barreling his way across the country to see Mount St. Helen’s as it was erupting. He was a geologist who was madly obsessed with witnessing this event. He performed numerous drive-by’s along the way much in the manner I expect the aliens have: “There’s the Grand Canyon, girls!” he yells over his shoulder as we peer out our windows looking at, well, really nothing as we zoom past. All we could see in the distance were the rugged highlands surrounding the massive chasm. It was the same as we passed by Lake Tahoe. I slept, I think, through the entire passage through the Rockies, bored out of my mind I presume. Surely after traveling vast cosmic distances, perhaps through multiple galaxies, maybe even originating from another Universe, we were worth more than a shrug as they passed over Earth’s atmosphere. The nerve, I mean. Couldn’t they see that, although there may be plenty of ignoramuses and jerks down here, there are also loads of people with fabulous potential for intelligent humility, goodness, kindness and a desire to grow in knowledge and put that knowledge to good use benefitting others? Can’t they see the battles being waged to save our planet? We could use a little help, ya know! Besides that, aren’t they just the least little bit lonely? I mean, when the gringa walks out beneath a star-lit sky and considers the vastness of space and how we are so alone out here, surely for any species to discover another would inspire a sense of comfort and relief. Aren’t they even the least bit curious? Aren’t we even worth a poke and a prod? The more the gringa thinks about it, the more incensed I become. How dare them think that we are not worth knowing, much less saving. Once I was willing to hop on board if given the invitation. Now, however, I think I will offer them a shrug of indifference if the invitation comes my way. The gringa is filled with the noble spirit of the captain of a ship. Maybe some of my passengers are nothing but a big, destructive pain in Earth’s proverbial hindquarters. But they are still MY fellow passengers. You can either help me save this ship or move along. I, however, will go down fighting and clinging to life, trying to save those who appreciate my efforts as well as those who obviously don’t deserve them. THAT’S the very best of being human. It’s not uncommon for people to wonder if humanity is alone in the vast Universe. But too often we are thinking of the here and now, wondering if an advanced space alien civilization is making contact with us. Or we are looking forward to a future where we might be able to discover another advanced civilization in the farthest reaches of outer space. But what about eons in the past? Isn’t it a bit egotistical to think that our Universe is the only one that ever existed? For Americans, this assumption is probably rooted in Judeo-Christian teachings that have long held that mankind is the only creation of their god. But if you take the limitations of religion out of the picture and only consider the Universe from a scientific perspective, the first thing the gringa realizes is that not only could mankind be one of any number of species right now, but there may have been any number of other species’ that have lived before us. New models of the cosmos support that even other universes could have existed before ours. Scientists estimate our own universe is more than 13 billion years old. They suspect that some amazing energy event created our Universe. It is often referred to as the Big Bang. But it may not have been the first Bang. Modeling a theory of multiple Big Bangs that have produced multiple universes is all based on Einstein’s theory of relativity. As it goes, in a nutshell, a Big Bang cannot be a singular event. Instead, it is a perpetual cycle of cosmic expansion, collapse into itself, then BANG, a new universe. Look at it like a Universe growing much the way a pregnant woman’s womb grows. When a universe reaches full growth maturity, it collapses. The energy produced by the collapse then explodes with new life, another Universe. Each Universe is created by the death of the Universe that gave birth to it. The Big Bang is really just cosmic labor that leaves a new Universe an orphan. What that means for humanity is that our own Universe will give birth one day. Whatever generation is alive when that happens will be the last of mankind before an explosive extinction. That is, unless we can successfully colonize another planet in another Universe. But that would then have to mean that we don’t really live in a Universe, but, rather, a Multiverse. It would seem that even if we manage to survive the effects of climate change, mankind is still doomed. So, the gringa suggests that we all get this climate change issue resolved so we can focus on an even greater challenge if we want to avoid extinction. We need to find another darn Universe, develop the technology to get there FAST, and start over. And do it right the next time! Posted on November 4, 2016 October 31, 2016 Categories Astronomy, Astrophysics, Big Bang Theory, cosmology, Earth, Galaxy, Homeschool, quantum physics, Science, Solar System, Uncategorized, UniverseTags barrio, Big Bang, galaxy, gringa, science, Universe2 Comments on Then BANG… Another Universe! When the gringa’s dear readers think of a star, what do you think of? The Sun? Polaris? Alpha Centauri? And what do you think would happen if you reached out to touch the Sun? You’d probably get vaporized, right? Well, depending on the star, not necessarily. In fact, if you touched the right star it might be a sensation more like when you roll over in bed and find the cool spot. 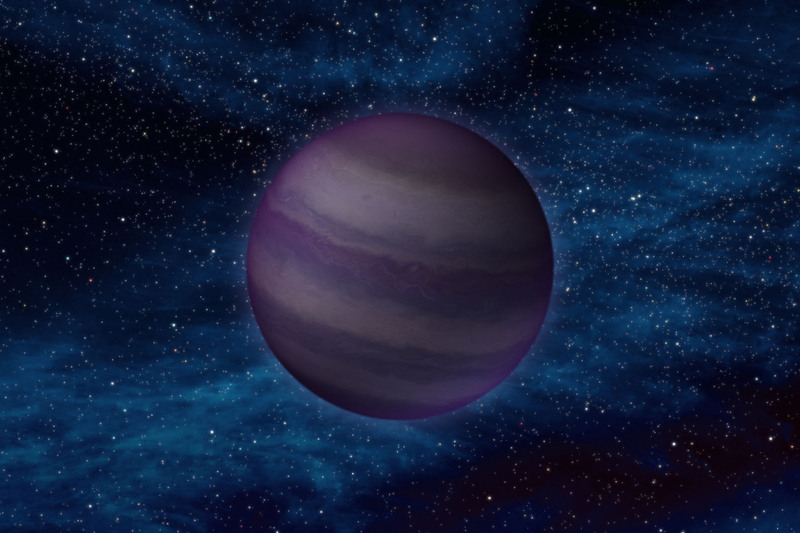 Brown dwarfs are cold stars. There are 14 that NASA believes are cool enough to touch. Cool! They are also the oldest stars in the Universe. I guess stars are kind of like people. Old folks with poor circulation are generally cold all the time. Stars get old and cold, too. Out of all the old, cold, brown dwarf stars in the Universe, it’s the Y-dwarfs that are even cooler than the average human’s body temperature. Y, you may ask. Well, the gringa will tell you why the Y is the way that it is. Not only are they old but they are failures. Poor Y-dwarfs. They must have very low self-esteem. Perhaps that is why they don’t shine as brightly as other stars. They have grown old and are failures as stars. The gringa feels very sorry for the poor, little things. Because their cores are not very dense they can’t fuse loads of atoms within. That means they don’t burn as hot and brightly as other stars. The gringa finds it very amusing that the denser a star is the brighter it is. It doesn’t seem to work that way in humans. If Y-dwarfs are such failures at being stars, the gringa wonders if they should be considered stars at all. Do we have a Pluto prospect in the future? Just as Pluto got demoted from planet to dwarf planet, Y-dwarf stars may very well face the possibility of being re-classified. In the future scientists may decide they don’t meet all the guidelines of being a star. The gringa thinks this is a wonderful possibility for Y-dwarfs. Whereas poor Pluto suffered a demotion, the Y-dwarf could get better news. They could go from being failures as stars to being over-achievers for whatever it is they may become! However, it may take astronomers quite some time to collect enough data in their studies. Their failure to shine bright like a diamond in the sky means it is difficult to view and study them. It’s practically impossible to study them at all with a telescope dependent on visible light. To take productive peeks at Y-dwarfs NASA had to construct an infrared telescope and mount it to an orbiting satellite. And that is why the Universe is wiser thanks to these cold, little star failures, because of Wide-field Infrared Survey Explore (WISE) that studies them in the heavens. Earlier this month celestial lovers throughout south and central Africa got to enjoy a spectacular solar eclipse that produced a ring of fire as the Moon transversed across the pathway of the Sun. The peculiar occasions when the Earth, Moon and Sun all line up together doesn’t happen too often. Such a rare event has historically been linked with all sorts of predictions and paranormal expectations. The funniest recording of a solar eclipse is, perhaps, also the earliest record. Occuring in October of the 2137 B.C., two royal astronomers, Ho and Hi, offended the fourth Emperor of China’s Hsia Dynasty, Chung-K’ang. The eclipse was an unexpected event. The poor astronomers were unprepared to perform the customary rituals that should have taken place. The pair of official stargazers were drunk and failed to launch the traditional arrows and beat out the right rhythm on the gongs and drums so that the Sun could be delivered from the mythical beast that was attempting to devour it. In November of the year 569 an eclipse was recorded before the birth of the Prophet Mohammad in 570. There are many religious historians who link this eclipse as the moment of Mohammad’s conception. Interestingly enough Mohammed’s son Ibrahim died at the age of two-years-old during the occurrence of a solar eclipse. Mohammed wrote of this event as a sign sent from his God, Allah, of personal condolences. Muslims today still consider eclipses significant religious events. When the recent eclipse occurred mosques throughout Africa had special calls to prayer for safety and deliverance from harm. Perhaps the most significant solar eclipse in modern history is the one of May, 1919. Commonly called “Einstein’s Eclipse”, it is considered to be the solar eclipse that changed the universe. For more than 200 years scientists had accepted Isaac Newton’s principle that the space of the Universe was as inflexible as mathematical principles. Einstein set out to challenge this longheld belief. Einstein believed gravity was curved and flexible, affected by the mass of planetary bodies. He proposed that warping of space allowed planets to remain in their orbital paths, gravity distorted by the mass of a celestial body, the greater the mass, the stronger the force, which would result in more bending of light. This was to become known as Einstein’s Theory of Relativity. When the 1919 eclipse occurred, British astrophysicist Sir Arthur Stanley Eddington led the charge for an experiment to take advantage of the expected eclipse. Eddington traveled to Principe which is in the Gulf of Guinea off of Africa’s western coastline. A horrible thunderstorm threatened to ruin Eddington’s chances but, fortunately, by afternoon the skies had cleared. Eddington’s celestial photographs and measurements were compared with photos and measurements recorded by Andrew Crommelin at the Royal Observatory at Greenwich. The findings were announced by Britain’s Royal Society’s Astronomer Royal Sir Frank Watson Dyson. It was announced in London on November 6, 1919 that Newton’s theory had been disproven by Einstein’s new Theory of Relativity. To make sure that you are ready for the next opportunity to view a solar eclipse, log on to www.timeanddate.com and keep a watch on the countdown clock for eclipses listed under their Sun & Moon tab. It seems we are only about 5 months away from the next big event. There is a handy search window everyone can use to see if their city or country is going to be in the most fortunate position of being able to see the eclipse. To view a solar eclipse it is important to wear protective eyewear. A homemade viewbox can also be created called a pinhole camera. All you need is a box with a small hole on one side for light to pass through and project an inverted image of the eclipse on the opposite side. Below is a video with an example of how to make and use a homemade pinhole camera. One tip: The bigger the box the better the view. So Where Are All Those ETs? Billions of stars similar to our Sun exist with many of them billions of years older than our own planet. It is highly probable that some of these stars would be orbited by Earth-like planets with conditions that could lead to the development of intelligent life. If intelligent life developed on these older “Earths” their respective civilizations might have developed interstellar travel and have already begun investigating Earth. Alien intelligent civilizations have not contacted Earth. But what does the formula mean to scientists? Well, that depends on who you talk to. Some scientists translate the results to be wildly optimistic that there is, indeed, intelligent life out there. Others feel quite the opposite. When Frank Drake met with Carl Sagan to speculate on the calculations, they estimated the existence of 1,000 (on the low end) to 100 million (on the high end) possible intelligent civilizations in our Milky Way galaxy. To counter their claims, scientists Frank Tipler and John D. Barrow put forth that the average number of intelligent life civilizations in our galaxy would be much less than one. Seeing as how human civilization exists, that would consequently, then, rule out the possibility of any other intelligent civilization existing at the same time. The Search For Extraterrestrial Intelligence Institute (SETI) sees the Fermi’s paradox and accepts the reality that either interpretation of the possibility of the existence of intelligence life has a chance of being true. Thus, they continue their efforts, erring on the side of optimism. And the gringa likes that. Why not hold out hope? Why not be curious? And why not exercise such curiosity with a healthy dose of skepticism to balance out the equation and prevent a full-scale pre-disposition to crazy alien conspiracy theory by maintaining strict scientific standards? SETI continues exploration and research as they search for others out there in the galaxy. They believe in the possibility that if a suitable environment was allowed enough time, that it is possible for intelligent life to develop. By using all sorts of science and technology (satellite arrays, chemistry, optical telescopes, and sophisticated radio signaling devices) SETI not only searches for signals from other civilizations but reaches out with messages of our own to anyone who may be listening. And with their Education and Public Outreach program (EPO), humans of all ages and walks of life can be a part of their endeavor. For educators there is nothing more exciting than to introduce to a classroom of elementary and middle school students SETI’s “Life in the Universe” curriculum. So log on and order your first package today and get students engaged with a lesson plan that is certain to pique their curiosity and hopefully inspire them to be the future of our world’s STEM programs, because we need them. Posted on August 8, 2016 August 5, 2016 Categories Adolescent, Aeronautic, Aerospace, asteroid, Astronaut, Astronomy, Astrophysics, Big Bang Theory, Children, conspiracy, cosmology, cosmos, Earth, Education, Engineering, Exploration, extra terrestrial, Family, Galaxy, Homeschool, italy, Kids, Nature, Physics, planet, quantum physics, satellite, Science, Solar System, Space, Space Exploration, spacecraft, sun, technology, Teenager, Uncategorized, UniverseTags alien, barrow, chemistry, civilization, drake, earth, educate, education, educator, elementary, equation, et, exploration, explore, fermi, galactic, galaxy, homeschool, interstellar, italian, italy, magnet, paradox, Planet, radio, sagan, satellite, school, science, scientist, seti, Star, stem, student, sun, technology, telescope, terrestrial, tipler, UniverseLeave a comment on So Where Are All Those ETs?